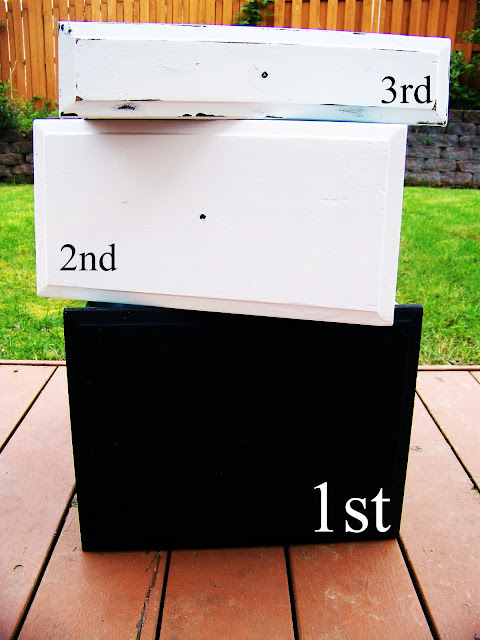 To know how to paint furniture comes in handy and can save you a ton of money when you give a makeover to an old piece instead of purchasing a new one. Today I’m sharing how to paint and antique furniture. 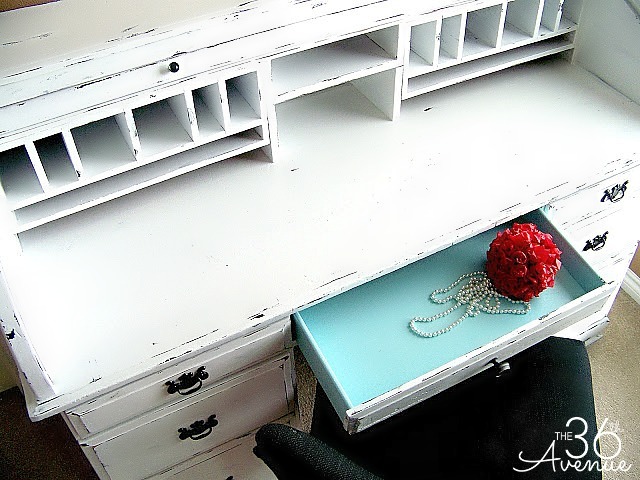 For this desk makeover I chose a country french look. I love the turquoise drawers… So cute! Ready to see it? Here it is! I paid for this old oak desk a whole $9.99! Now before you say WOW check out the pictures of the purchase. As you can see it is gorgeous but in need of some serious TLC. I have made some good deals during the years but I have to tell you that I have NEVER bought such a beautiful piece of furniture for such an amazing price before. I’m really loving my new “old desk”! 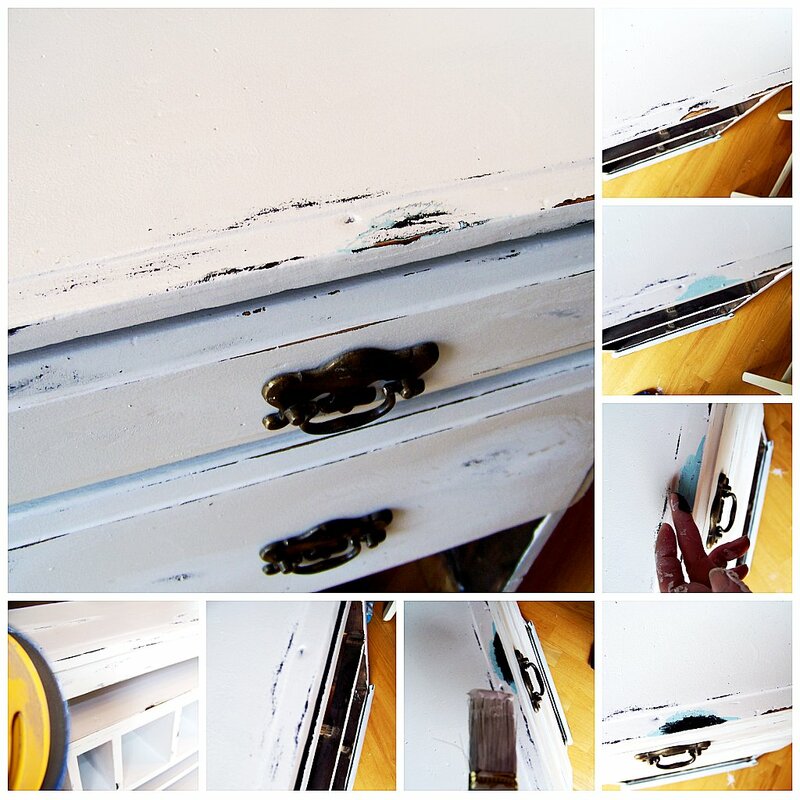 I worked on this desk on and off during the course of three days but with you I’m sharing a quick tutorial! First thing you want to do is clean the desk, remove the hardware, and fill the holes. Even when I prime a desk I like to lightly sand it first so the primer is absorbed in the wood. 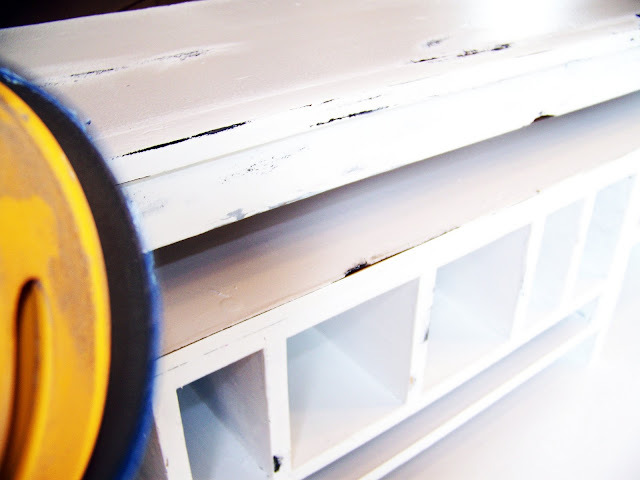 You don’t need to sand it perfectly but just enough to remove the top coat of varnish. 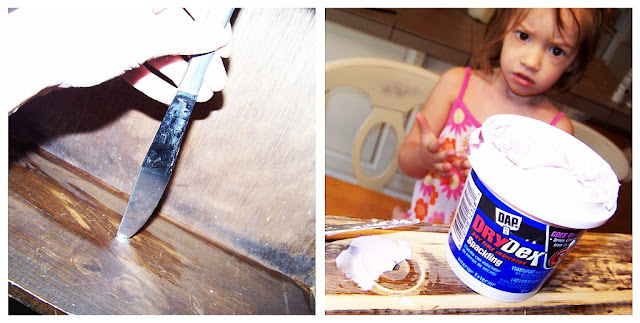 I like to use paint but if you prefer spray paint that’s OK.
Before you paint though make sure to prime the entire desk, this will help the paint stick to the wood a lot better. 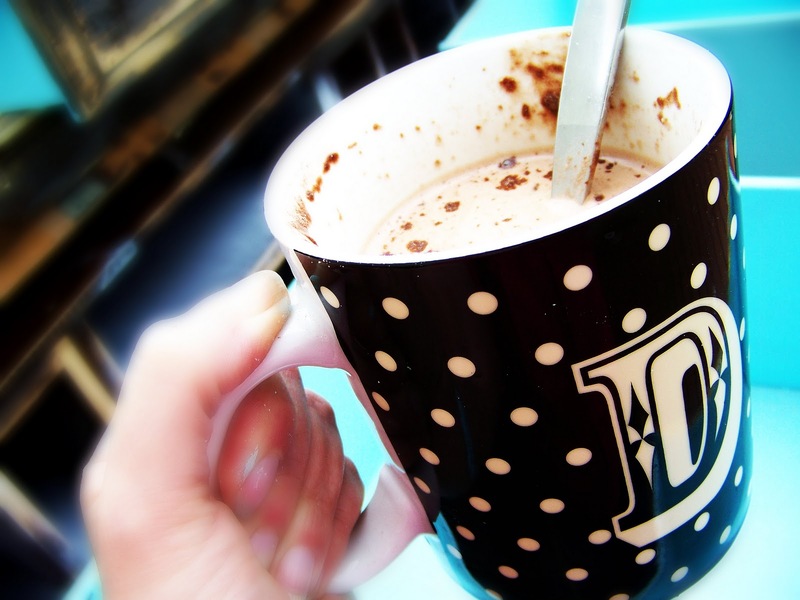 …and then I took a Hot Chocolate break! 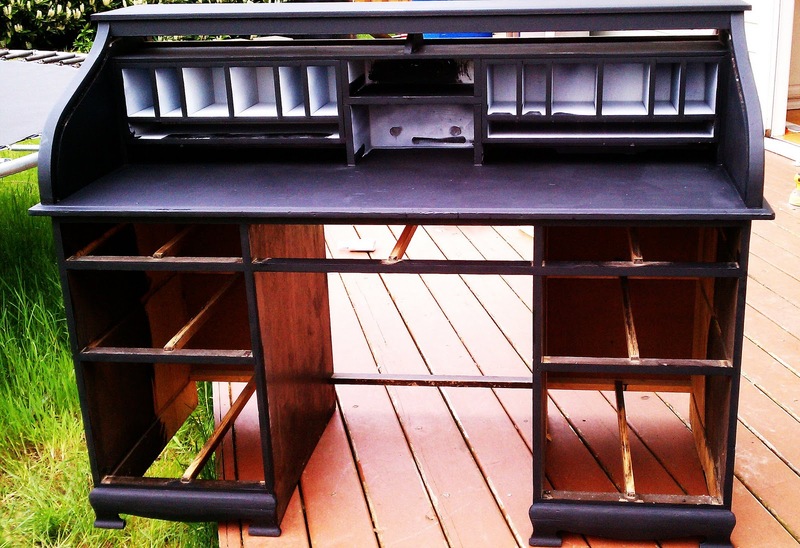 After the break I painted the entire desk BLACK. 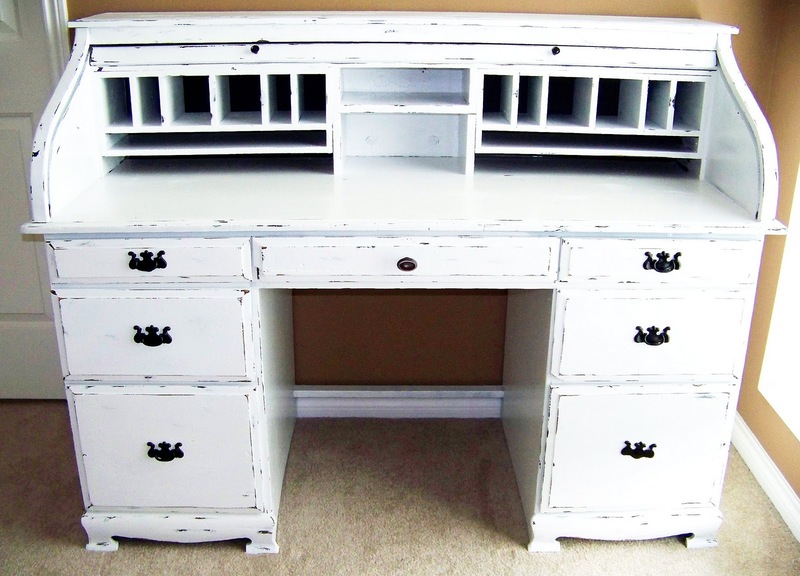 I let the black paint cure over night and the next morning I painted the entire desk white. 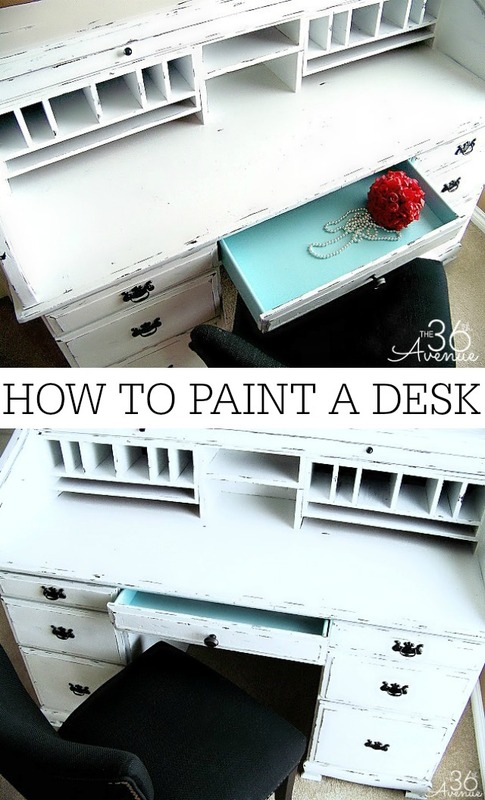 It will take two to three coats of paint to give the desk a bright white color. I like to use a satin finish since it is easier to clean than a flat finish. 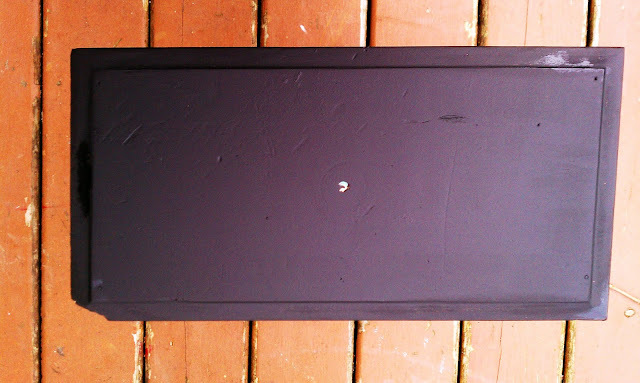 As you can see in the picture below some of the black is coming out from under the white paint. Are you ready for the fourth step? 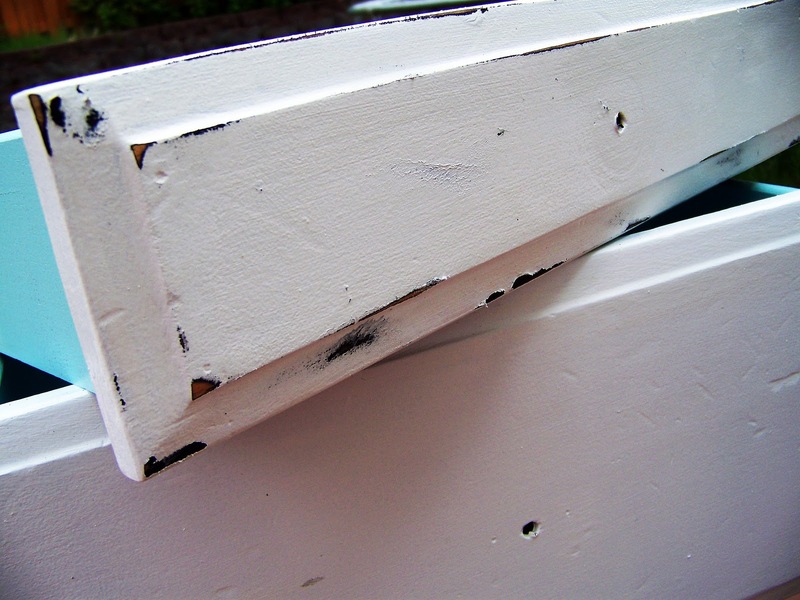 I used one simple tool to achieve this look… My good friend the electric sander. The amount of pressure you use will determined how deep into the layers of paint you are going to go. If you don’t have an electric sander you can use sand paper. 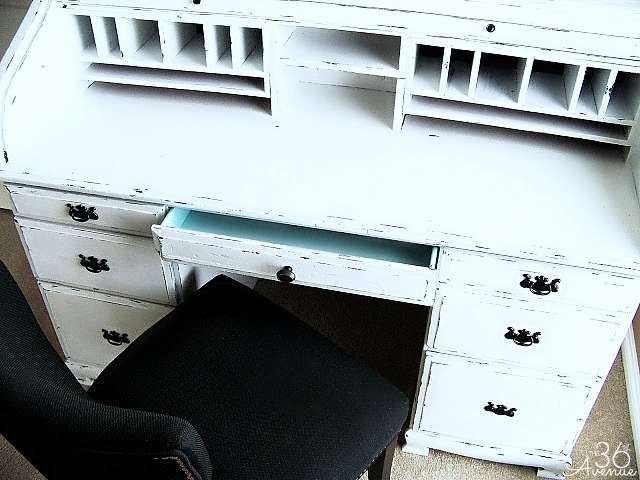 I love how the under layers give so much character to the desk! Do your own thing until you achieve the look you love! For mine I added a bit of turquoise here and there to make a third layer… Loving it! Third: Sand it and enjoy all the layers! If you are lucky to have the original hardware you can leave it as it is or you can give it a little makeover. 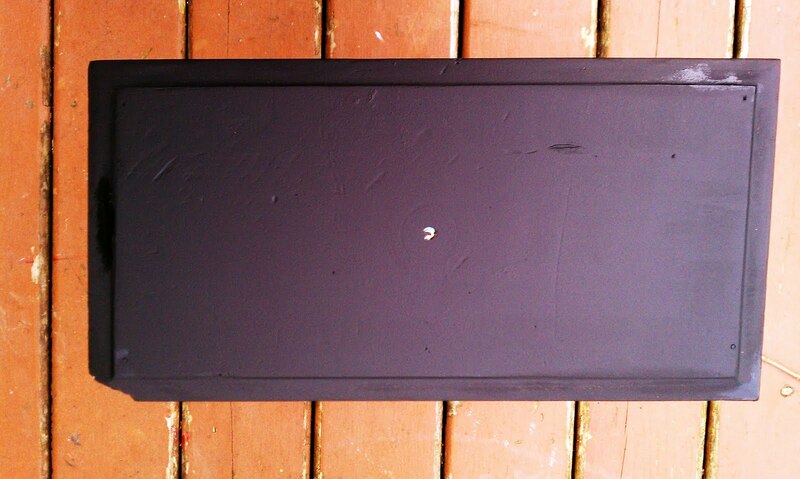 I primed and spray painted all the hardware in black. After it was dry I reinstalled. I loved working on this desk. I found myself often thinking about the similarities the desk has with life in general. As I was sanding the edges a small thought crossed my mind and I felt a sense of gratitude for all the “layers” and experiences that I’ve had in my own life. All those layers at the end of the day are what have made us who we are today… Don’t you think? In the end for me it is as simple as this… Price and value are NOT the same thing. Sometimes appearance can blind us and take away from the true worth of things as a moment…, people, or of something as simple as an old desk. Most of the times in order to restore and see true beauty we need to clean up and get rid of some old “unwanted” layers. At times things need to get darker before they get lighter and brighter. Sometimes you even need to open your heart to look deeper and see what is inside! 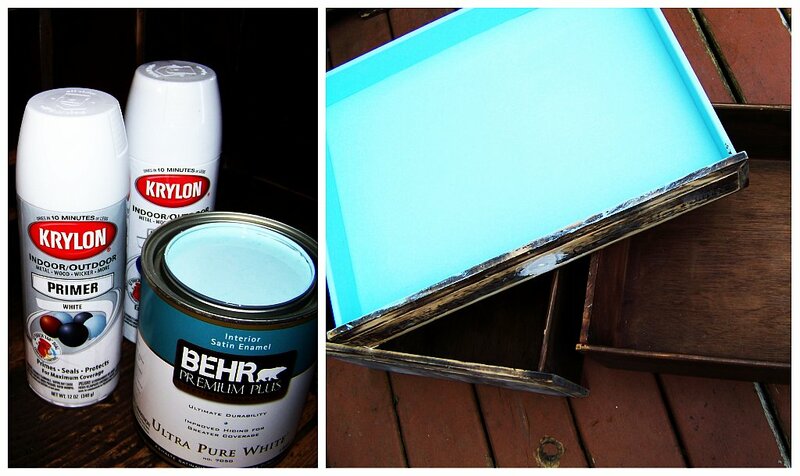 Here are some other DIY Home Ideas that I love! Love the desk!! It turned out beautiful! 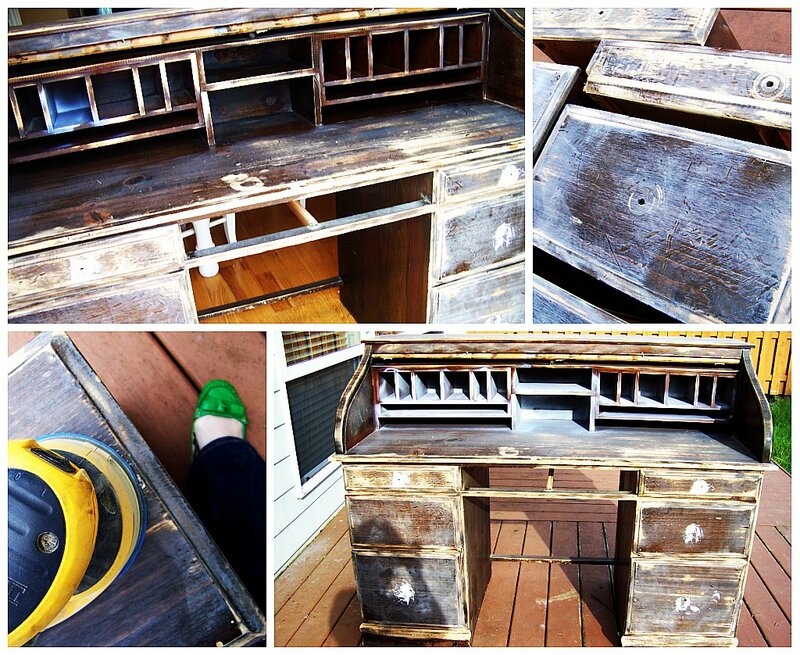 The desk looks amazing and I love the analogies you made between old pieces of furniture and life. I have a roll top desk that I have been thinking about painting white, but was a little hesitant as I was not sure if I would like the look. You have inspired me to give the project a try.thanks for sharing. 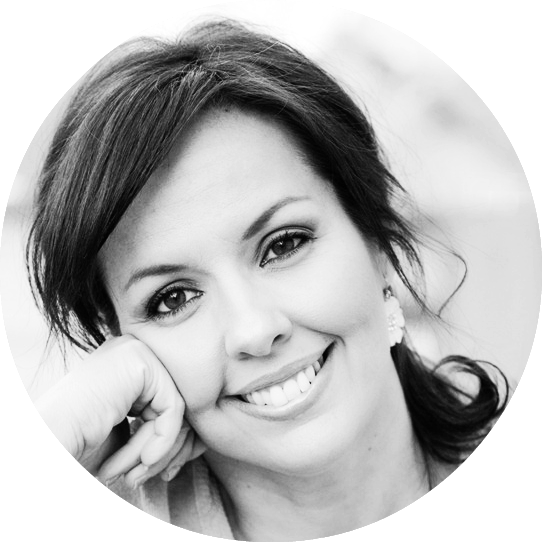 You are very welcome Dorene… Thank you for taking the time to say hi!